How to Make Baked Paleo Plantain Chips | It's EASY! 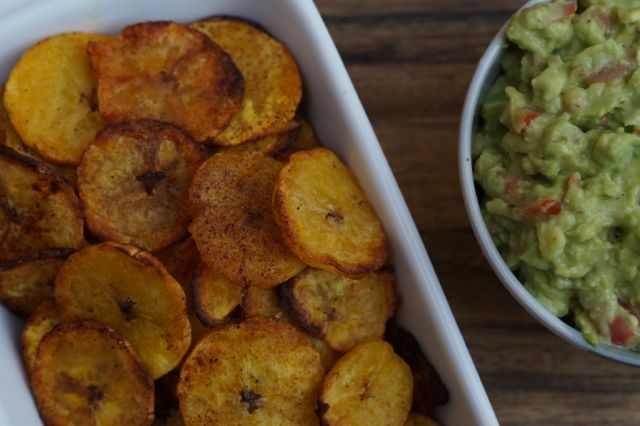 How to Make Baked Paleo Plantain Chips. Throughout our 2 year paleo journey we’ve followed heaps of great American Instagrammers and bloggers who continually share drool-worthy pics of their baked paleo plantain chips! 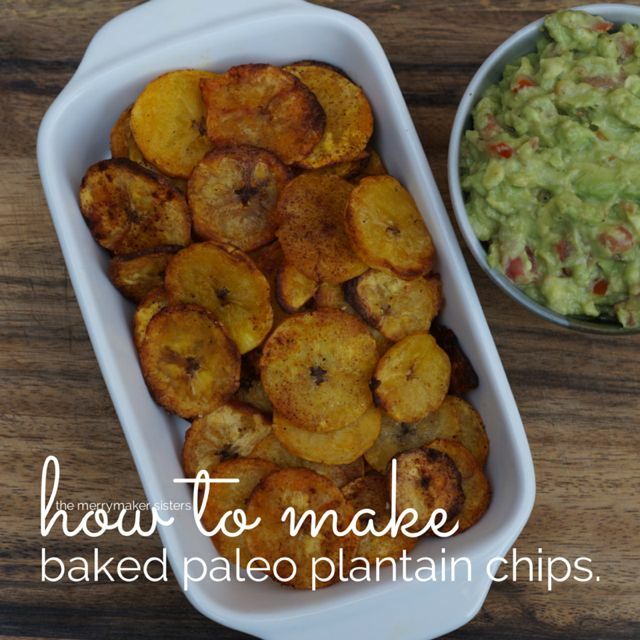 So it’s about time we try out a baked paleo plantain chip recipe! We were also inspired from our recent #MerrymakersDoNYC trip… we ate quite a few plantain chips and they were AMAZING! So crunchy, delish and perfect with guacamole. So ‘bake paleo plantain chips’ was high on our to-cook-list post NYC! If you’re like us, you’ve probably never seen a plantain in a super market or at the local farmers markets! Have they been hiding? Are they available in Australia? Where do we buy these magical fruity vegetable things? Well, you wouldn’t believe it. Day 2 after NYC and TA-DA we walk into our local fruit market and there sits at least 50 bright green plantains. Fate or what?! We know they are going to be EVERYWHERE now! We’d been told that to make the best baked paleo plantain chips we must buy green plantains (not ripe ones… which are usually black or yellow). Although they look like bananas, we’d been told not to eat them raw but we had a little nibble and guess what?! They actually taste a little bit like bananas too! Just less sweet and more starchy. We hope you love the recipe and let us know how you go with it, we’d love to see your foodie pictures on social media! 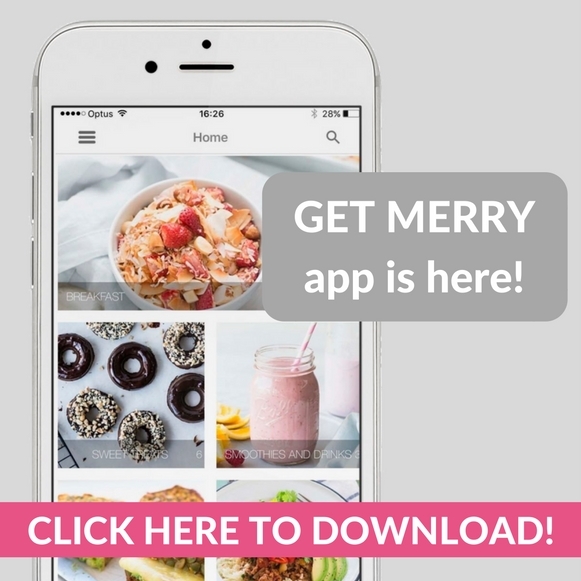 Find us @TheMerrymakerSisters and use #themerrymakersisters on Instagram, Facebook, Twitter! Pre-heat the oven to 180*C and line 2 baking trays with baking paper. Peel the plantains, you may need to cut the ends with a knife if the skin is a little tough. Slice the plantains into 2 mm thin pieces with a mandolin slicer or knife and place into a bowl or container. Add the oil and spices to the plantains and coat evenly, use your hands or pop the lid on the container and shake gently. Place the plantain pieces on the baking trays in 1 layer and ensure they are not overlapping. Season the chips with a little salt. Place in the oven for 15 minutes. Turn over the chips carefully and place back into the oven for a further 15 minutes. Keep an eye on them so they don't burn!